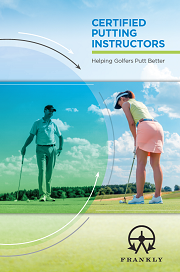 PGA professional Leon Marks recently became the first Certified Putting Instructor (CPI) in Luxembourg. Bordered by Belgium, Germany and France, Luxembourg is a multicultural society and Welsh native Marks has greatly enjoyed his last 16 years based at Golf De Luxembourg where he has been at the forefront of golf coaching and development. He was the Luxembourg National Champion and has also been the Chairman of the PGA of Luxembourg and National Coach for the Luxembourg team. Being based overseas, Marks takes many CPD courses, but he particularly enjoyed the online accessibility of the CPI Course and the way it was structured. “I do a lot of qualifications. I have studied many biomechanics courses and love to specialize in different areas of the game. The fact I could do the CPI Course online was good,” said Marks. Marks appreciated the process of the CPI Course. “I enjoyed the CPI assessments, especially the video assessments. It proves that you have learned the information. Everything was relevant to the CPI Course and I did learn some interesting new pieces. “The section on Putter Technology taught me more about putters and was an area that I had not delved into too much in the past. It was interesting to learn more about MOI and things like that. 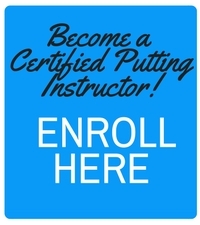 “I was happy that the CPI Course reinforced what I have been doing with my putting lessons. Overall it was very good and I think golf professionals can learn a lot from it,” said Marks, who has been a fully qualified PGA professional for 18 years. Marks began his golfing career at Pyle and Kenfig Golf Club in Wales as an 11 year old, and quickly progressed. He went on to win the South Wales PGA Championship, then unfortunately was injured and couldn’t play for 6 months. Having become fully qualified in 1999, it was at this time he decided to start teaching overseas, first moving to the Netherlands, then onto Luxembourg. Now he has become CPI qualified, what are Marks future plans? “During the winter I look forward to doing more putting lessons on the large indoor putting green we have here at Golf De Luxembourg. “In the future I would like to build up my golf school and grow my business, which might allow me more time to play golf. I have 3 other golf professionals on my staff and we have 900 members, over 100 kids and many corporate groups that we teach, so we are very busy,” said Marks.